IT'S TOFFEE'S TURN: MALAY PRIVILEGES OR ETHNIC CLEANSING? 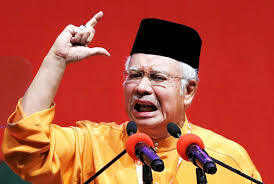 This article is not against the Malays, it is aimed at the UMNO policy for the Malays. There is a huge disparity in the Malay community created by UMNO and not the other races. This "agama bangsa cry" is nothing but a diversion, hog wash, to pull wool over the eyes of the poor Malays and make them ignorant of what is actually happening, using Malaysians of other religious groups and race to make sure that the poor Malay stays with UMNO, so the disparity of the Rcih Malay and the poor Malay can continue unabated. The real disparity is between the rich Malays and the poor Malay not the Chinese and people of other races. 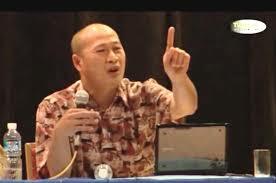 I talk about Melayu here and the Melayu of pre-independence must see what has happened to the Malays in Malaysia how both they and the non Malay have got hijacked by the UMNO elite, by creating another Melayu. I have been very frank in my views, it may seem to hit at the Malays in general, but if you read properly it is aimed at UMNO and the right wing Malay extremists. Inadvertently the Malays have got sucked into this plan of UMNO's unknowingly I'd like to assume. will be least surprised if you read this PTPTN scholarships for Bumis only article it has been the rhetoric of all right wing Malay groups since independence and if you examine it carefully it has an agenda, an agenda rooted in what is nothing less than a systematic long term programme of ethnic cleansing disguised as "social economic reform plan" that has an eternal tenure and agenda. I shall not mince my words and I shall continue to say that this is in fact a long drawn plan of ethnic cleansing in disguise and I'll tell you why. Nowhere in the Constitution of this country has anything been said about eternal privileges to the ethnic communities in this country and even if that is stated and I am proven wrong it does not give others especially immigrants after Merdeka the right to call themselves Bumiputras or be classified Bumiputras and be bestowed with excessive rights at the expense of citizens of Malaysia who have been here long before the country's independence and who are citizens of this country either by operation of law or by naturalisation and who are today treated as second class citizens only because of religion. If religion is changed it becomes easy for a non Bumiputra Malaysian to ensure his children becomes Bumiputra by conversion to Islam. After that all that is required is that he adopts Malay culture and speaks the Malay language and he is Malay and consequently a Bumiputra. There are ethnic communities in this country that require careful nurturing to be brought on par with the rest of society and I'll admit if, they have not got as much of the Bumiputra allocation as the Malays did, these are the natives of this country, that is the Aborigines of west Malaysia, the Kadazans, the Duzun, the Dayaks and the rest. Malays are not Natives and cannot claim to be so unless one of their parents are Orang Asli. The Melayu are not ethnic, they are immigrants from the various parts of Indonesia Southern Thailand, Yunanese, Indian Muslims, some Chinese Muslims, who obtained their status of being Malay a non existent race by virtue of the definition of what constitutes a "Malay." This definition of the word Melayu has allowed recent Indonesian, Bangladeshi, Bosnian, Palestianian and other Muslim immigrants of other Nationalities of having their second generation being referred to as Malays and thus Bumiputras whilst the non Bumiputeras who have been citizens even before Merdeka are condemned to remain second class and have to subsidize the Malays and Bumiputras. Subsidize because these people buy houses including palatial homes at a discount of seven percent compared to the non Bumiputra. The difference is of course borne by the non Bumi in his purchase price of the same type of house, even though the Bumi may be much much more richer than the non Bumi. "The convention of Malay rights group also alleged of a possible conspiracy among private institutions of higher learning (IPTS) to grant non-Bumiputera students higher grades, which it claimed could escalate into a racial issue that can disturb national unity". How can they pretend to be championing National Unity and what is their concept of "National unity" in the first place, when they make such baseless allegations of a racial nature? Are they alleging that the non Bumiputra students who have to pay high fees in private institutions are stupid? This "conspiracy" they fail to realise is of their own making, spoon feeding Bumiputras, offering them places in Universities and schools of higher learning at the expense of more qualified non Bumis, and refusing to accept that places for students for higher learning should be accorded on merit rather than on "rights" has led to the Bumiputra students performing not on par with the non bumis. Moreover the non Bumiputra students know that when they come out into the world there are no special privileges for them and ehy'll ahve to fight and compete to survive, no one fofers them charity and special favours. That failure of the Bumi students, imagined or real is seen so glaringly in the very statement made by this "The convention of Malay rights group" and their other statements as well. Their rationale makes no sense as it is the Malays who are given most of the scholarships even in these private Institutions of Higher earning, and looking at it from a business viewpoint it will not be in the interest of these Institutions to do such things. The failure of Bumiputra education policies are seen in the quality of explanations given by ministers and deputy ministers both in and outside Parliament both nationally and internationally. It was so glaring in the explanations given by Ministers and senior members of our National airline, the police force etc at the various press conferences then. It was seen at the trial of Teoh Beng Hock where soon I do not have to mention who, even suggested that Teoh Beng Hock could have strangled himself and tried to show the court how that could be done to the amusement of all present and all those who read the case. Having said this I must admit that there are many Malay Bumiputras who have excelled in their studies and who are performing excellently in Industry, what I am addressing here is the generalization of these extremists groups and how they place the blame of their own failures of their own doings on the others. It is always the case the other races are the Bogeymen, not them and their bankrupt policies. It was even the case at the last elections when the BN UMNO in particular performed badly they blamed it on the Chinese, not on themselves, their policies, their performance and corruption. What are these rights after all, should they not be more concerned with the quality of Malay students graduating from Universities rather than the numbers? 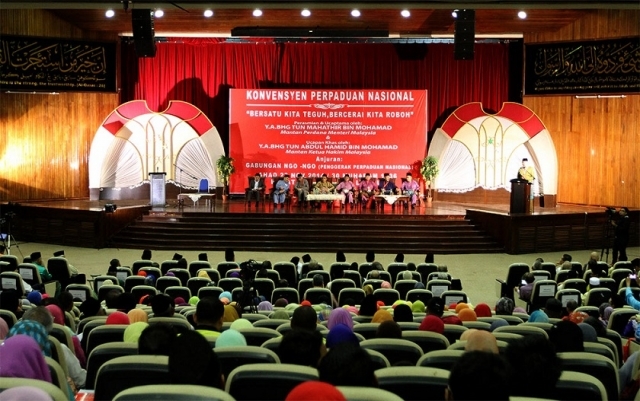 The numerical value jsut so that more Malays get into University regardless the merits are more dangerous, just passing out graduates even though they do not deserve to pass resulting in them being underemployed whcih is the case today as they really do not have the knowledge nor skills for the positions creates false fears and attitudes which, yes may lead to racial violence. So who is creating these threats. Many graduate are frustrated, not being able to find "suitable jobs." We are in the process of Nation building we need our skilled personnel,and and our future scientists our knowledge workers retained to develop this nation and so the PTPN scholarships must be accorded on merits so that regardless of race every Malaysian can make a contribution to the nation. The grouping has become so extremely paranoid that they can go the extent to claim that there is a "conspiracy by the private Institutions of Higher Learning to grant non Bumiputra Students higher grades." Well from my won personal experience with foreign lecturers from from foreign countries I have been told that they the lecturers were instructed to lower the grades to pass students in Government and government aided Institutions. I cannot claim that this is true but when you hear such statements from groups such as the members from this "Convention of Malay Rights Group" one can only wonder. This deprivation of students of other races by the government under the pressure of such groups most of whom I can assume will be of UMNO and PAS, is deemed not sensitive, in Malaysia it is the norm. I am now excising my right to disagree and it can't on any account be considered SENSITIVE as I am talking bout the rights of non Bumiputras who have had to put up with this since Independence and although in the minority have to subsidise the Melayu and the Bumiputra for so long and now it looks like for eternity. There has been no time line, there has been no let down the more they take the more they want to take and it has to stop. The only recourse for non Bumiputra children and their children's children it seems is to convert to Islam, which we are not prepared to do, then to adopt Malay culture which is being evolved from Arabic culture by the day, and then have their Children claim to be Melayu and subsequently gain Bumiputra status - thanks but no thanks. them to disgrace their heritage by insulting their lineage, and their parents. Well this is but one incident, there been many others, in most cases we are told and the Malays are made to believe that "Malays and Islam are under threat" that is the excuse used, over and over again, we are used as the bogeymen for the ends and purposes for a corrupt regime. Why even recently it was proposed in Parliament that the Bar Council come under the attorney General's chambers, and that the attorney General be a Malay, not that we never had a Malay Attorney General. All this in a nation where the overwhelming majority in Parliament, the Armed forces, the Police Force, the Judiciary, the Chief Ministers of states are Malay, and the Malays are told and they believe, though many of them are now getting fed up with these antics that "they and Islam are under threat from a minority" they (the government and its supporters as in this case) are used to using high handed tactics including calling non Bumis degrading names, telling he world that the Chinese women came here as prostitutes, the Indians are Pariahs etc.which do not constitute a threat of course because these groups are in the minority and so there is a freedom to do so, but say boo to a Malay and all Hell will break loose. Now does this not point to subtle persecution and a plan to "ethnically cleanse" the non Muslims who are not Bumiputras? Ethnic cleansing in any form is a sin against humanity, it is a crime for which leaders must be held accountable. The Croats and and the Serbians were punished by the International community for their part in ethnic cleansing against the Bosnian Muslims, the world must sit up and take notice in Malaysia where this is happening in a very subtle manner, but whatever the manner one has to admit that this is indeed ethnic cleansing. In Malaysia it is even worse than apartheid, the system many Malaysians themselves compare their current plight with, because unlike apartheid, here foreigners are allowed to come in and in the next generation gain Bumiputra status and even be classified Malays and condemn other Malaysians who are not Bumiputras to second class citizenship, unless the non Bumiputra converts to Islam,speaks the Malay language which most of them do anyway and many with a greater degree of fluency than the Malay himself, and follow the Malay custom which is fast mimicking Arab culture. 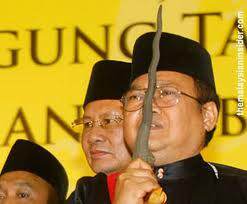 IN MALAYSIA THE RIGHTS ISSUE A SYSTEMATIC PLAN TO ETHNICALLY CLEANSE THE NATION. IT HAS ALREADY BEEN SAID THAT IF YOU DO NOT LIKE WHAT THE GOVERNMENT SAYS AND DOES LEAVE THE COUNTRY, THIS WAS EVEN STATED BY THE DEPUTY PRIME MINISTER AMONG OTHERS. THE WORLD MUST TAKE NOTICE.